Despite news of recession across the nation, business can always improve through the use of novel and non-traditional cost-effective ideas. With the help of Affordableled.com, even small businesses have the opportunity for more growth and increase in sales because of the cost efficient LED signs the online LED sign manufacturer can offer. With its cost efficiency being the most important advantage over other forms of advertising, LED signs are also bright and dynamic. Being that its visually appealing, consumers will surely notice businesses that call the attention of customers in a very creative and attractive way. 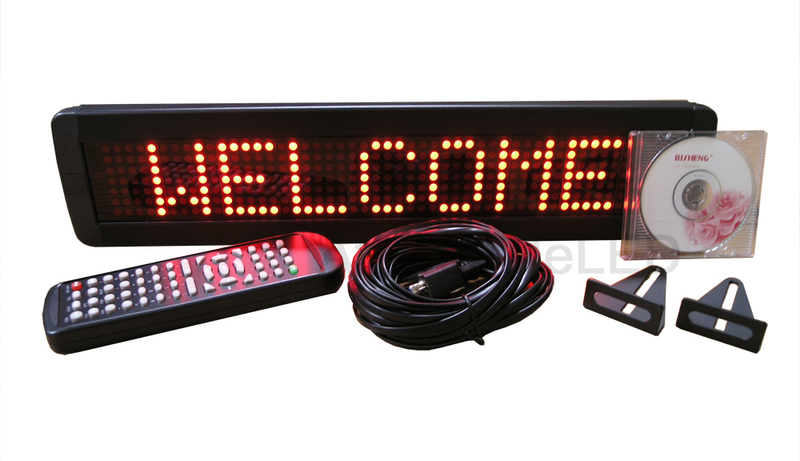 In a variety of movements, there will never be a dull moment when one sees a flashy and vivid LED sign. Lasting up to 100,000 hours of usage, LED signs are both for indoor and outdoor use. Affordableled.com currently offers discounts on "O" Letter LED signs. As low as $85.00 are available for purchase and are just waiting for their rightful owners. Not limited to LED signs, Affordableled.com also offers customized LED signs, programmable LED message boards and power supply for LED signs. Most popular are sushi signs, Chinese food signs, ice cream signs and coffee signs. Featuring multiple animations on its LED signs, there is no excuse for small businesses not to take advantage of this very attractive offer. Be in the know and sign up for more upcoming promotions that will surely add more colours to your establishments.